With the clock ticking and nearly 113 days past since Article 50 was triggered, there still appear to be “fundamental divergences” between the Conservative cabinet members on what the UK’s priorities should be. “Overall I’m encouraged by the progress we have made on understanding each other’s positions,” beamed Brexiteer-in chief Davis at a Brussels press conference. “We have had robust but constructive talks this week. Clearly there’s a lot left to talk about and further work before we can resolve this,” added Davis, who had been criticised in the press this week for posing in photographs at the Brexit talks with no extensive notes like his counterparts and turning up for only half a day. He also insisted that the thorny question of the border between Northern Ireland and the Republic of Ireland needed to be tackled as an urgent priority. Appearing with Barnier, David Davis seemed to recognise that Britain’s costly bill for leaving the EU and ongoing financial commitments would be met, adding the Brexit Secretary, sent out a conciliatory message on the exit bill, insisting the EU and UK “recognise the importance of sorting out responsibilities we have to each other.” He also took the opportunity to deny splits and in-fighting in the Tory cabinet over whether Britain would be damaged by leaving the EU with no deal, despite Philip Hammond’s dire warnings. “The lack of progress in these negotiations is deeply concerning and does not bode well for the future,” warned Shadow Brexit Secretary Keir Starmer today, “on issues such as the rights of EU citizens in the UK and UK citizens in Europe, Labour has been calling for action since July last year. 12 months later, after having been promised a swift resolution of the issue, we learn today that there remain “fundamental divergences” on this key issue. This means more waiting and more anxiety for millions of families. “The lack of progress on this and other issues also calls into question whether phase two of the negotiations can commence in October. “That will trigger deep concern for businesses and communities across the U.K, who need much greater certainty and reassurance than they are getting from this Government. Liberal Democrat Brexit spokesman, Tom Brake also hit out at the Tory team: “It’s now been 113 days since Article 50 was triggered and we have seen almost zero progress on even the most basic issues. 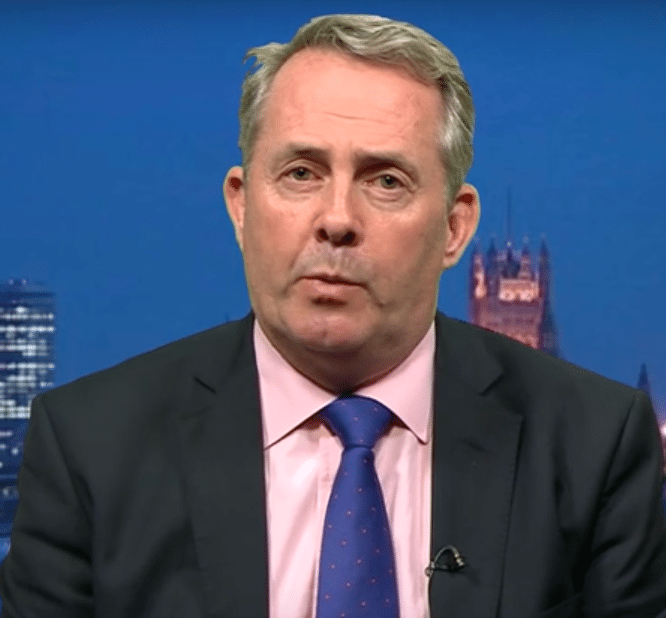 – A message that clearly hasn’t got through to Liam Fox insisting that the Brexit deal with the EU will be the easiest in history. As it is the first time anyone has left the EU that could literally be true, I guess. Before throwing a further spanner in the works by ruling out the UK continuing to be a member of the single market or customs union. “You cannot leave the European Union and be in the single market or the customs union,” he continued to insist today. Asked about his future and of the PM, who is under increasing pressure with numerous leaks rom Cabinet meetings, Fox said: “I think the prime minister is likely to be there for the rest of this parliament. I think she has the support of her colleagues in the House of Commons,” he said. “I think she has a mandate to be the prime minister. I don’t think there is anything to be gained by speculation about leadership. The sheer arrogance of Barnier and the EU – if we dare to disagree with one of their views/issues, if we put forward a differing viewpoint, we are labelled as having ‘fundamental differences as if it’s our fault. Their view is deemed correct by them, if we disagree, we are putting obstacles there. How does this man think negotiations should be conducted – this is the EU position, agree it, and all will be well? Methinks, the EU need to have their bluff called, stand up to them, point out we may walk away unless they shift their position, meet steel with steel. Let them have some of their own medicine. We don’t have any valid viewpoints that is one of the problems. That would be Chinese steel then? Fox said ‘Britain would survive without a deal.’ He is absolutely correct… Britain also survived ‘ The Black Plague ‘ but that is hardly a recommendation.